There were 261 press releases posted in the last 24 hours and 153,576 in the last 365 days. UN PLAZA, NEW YORK, USA, April 6, 2019 /EINPresswire.com/ -- In a nod to his operational success to date, the World Sports Alliance, an intergovernmental organization committed to improving civil society through sports, has announced the appointment of Asa Saint Clair as its President. 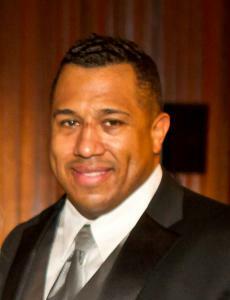 Mr. Saint Clair previously held the title of World Sports Alliance Treasurer since formally joining the organization in March 2017. Since that time, Mr. Saint Clair has been responsible for a number of noteworthy accomplishments, including sponsorship and licensing agreements within the solar industry, various partnerships in and around the sports world and the United Nations system. World Sports Alliance has also been represented by Mr. saint Clair the last two years at the “UNGSII SDG Lab”, held concurrent to the prestigious World Economic Forum at Davos, Switzerland. As President of the intergovernmental organization, Mr. Saint Clair oversees a diplomatic organization that currently counts 33 Member States worldwide and is growing. One of the distinct features of the WSA is that it does not collect regular fees from its Member States, but rather relies on entrepreneurial endeavors and Public-Private partnerships as a means to carry out its mission. Mr. Saint Clair is also CEO of the World Sports Alliance’s private equity firm, VO2 Global, which is where all commercial business is conducted on behalf of the organization. VO2 Global is currently involved in a wide variety of endeavors from entertainment, media, energy and mining to environmental science and infrastructure. While these business operations are mostly early stage, they are growing fast and all are committed to sustainable development practices. 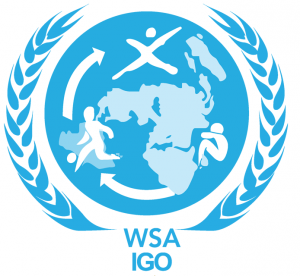 World Sports Alliance Intergovernmental Organization was formed in 2007, as the result of a private-public multi-stakeholder partnership initiative under the auspices of the United Nations Department of Economic and Social Affairs (UN DESA) NGO-IRENE. The mission of the organization is the advancement of socio-economic mobility, health and education issues for the approximately 530 million people within WSA’s 33 Member States, using youth sports as a medium. World Sports Alliance operates on the Sport for Development and Peace platform and exists in furtherance of the United Nations Sustainable Development Goals.